Theodore Roosevelt was one of the most vibrant and dynamic figures in American history. Highly opinionated and calculating in his self-presentation and public statements, Roosevelt took part in the debate on modernism, throwing his voice into the reviews of the Armory Show. In his famous critique of the show, titled "A Layman’s View of an Art Exhibition," he denounced the artists he labeled "extremists" by focusing on the Cubists: "In this recent art exhibit, the lunatic fringe was fully in evidence, especially in . . . the Cubists." While Roosevelt’s criticism of the show was inconsequential in terms of shaping the direction of the art world, his review is important for what it reveals about his view of the arts as an essential component of national identity and the charged political nature of the Armory Show. 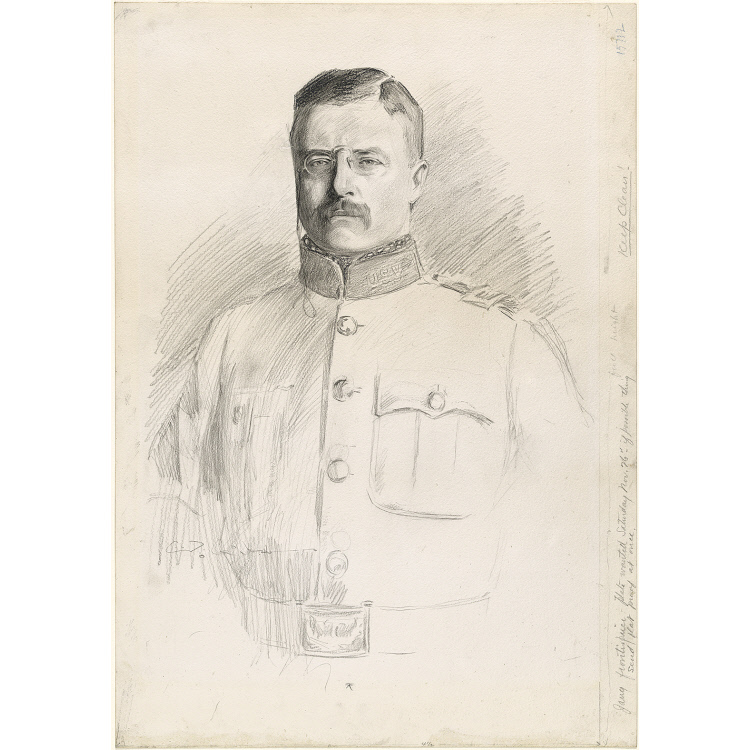 Charles Dana Gibson’s portrait of Colonel Theodore Roosevelt, published in the January 1899 issue of Scribner’s, illustrated the first installment of Roosevelt’s memoir, "The Rough Riders."